Cimicidae or bedbugs, are small parasitic insects. The most common type is Cimex lectularius.The term usually refers to species that prefer to feed on human blood. All insects in this family live by feeding exclusively on the blood of warm-blooded animals. In the developed world, bedbugs were largely eradicated as pests in the early 1940s, however have increased in prevalence since about 1995. 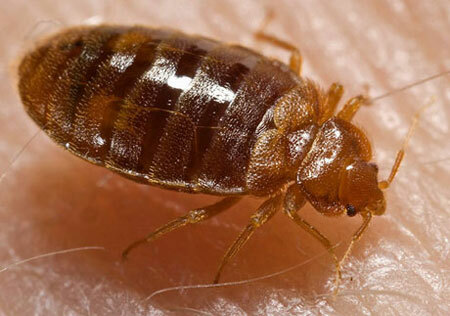 Because infestation of human habitats has been on the increase, bedbug bites and related conditions have been on the rise as well. The exact causes of this resurgence remain unclear; it is variously ascribed to greater foreign travel, more frequent exchange of second-hand furnishings among homes, a greater focus on control of other pests resulting in neglect of bedbug countermeasures, and increasing resistance to pesticides. Bedbugs have been known human parasites for thousands of years.